You are here: Home / Coffee Resources / How Do You Create The Perfect Cup Of Coffee With Flavor? How Do You Create The Perfect Cup Of Coffee With Flavor? Are you a coffee connoisseur? The perfect cup of coffee or cup of joe can mean many different things to different people. Do you have you favorite coffee shop or brand that you buy in the store? My favorite is my local Caribou Coffee shop, but I can tell you the perfect coffee for me is far from just a particular brand brewed black. That is where it starts, and the best cup of coffee to me is several choices, including different brands, as well as choices for creamers and other added ingredients. I’m also a big fan of espresso drinks, like lattes and macchiatos. And even though Italians frown upon it, I drink those milky coffee and espresso drinks all day long! You might be wondering what I mean by other “added ingredients”, so do I have you intrigued? Oh come on, you’ve certainly put marshmallows in a hot chocolate before, so what’s wrong with putting them in a good cup of coffee with chocolate creamer? There’s even a coffee drink you can buy out that is espresso topped with whipped cream! (and it’s super tasty!) When it comes to chocolate creamers, one of my favorite variations is chocolate and caramel together. Of course, there is also mint or peppermint mocha as well that I like for a festive holiday drink treat. Granted, many of these flavors can be found as a coffee themselves. In other words, there are brands that put out chocolate and caramel coffee, peppermint mocha coffee, etc. So, if you don’t want to deal with adding in the extra, just look for a blend that is the flavor you desire. You can double up if you get the flavored coffee and the flavored creamer. Marshmallows are a once in awhile suggestion, but I’ll give you another good one. This next one actually is my perfect cup of coffee. I would have chosen chocolate creamer with a strong brewed coffee, instant coffee even to keep it simple. Then, I would place a piece of chocolate in my coffee, a big piece. I’ve done this before so many times and it is always delicious. I’ve put M&M’s in my coffee, peanut ones to be exact, and I’ve also put espresso chocolate squares in my coffee. Hazelnut chocolate is another great addition to your coffee to give it a bit of yummy flavor. That would complete my favorite cup of coffee, unless maybe you also threw in a splash of cinnamon. Some people would say cinnamon, why cinnamon? Well, you’ve had chocolate cinnamon rolls before, right? If you haven’t, you’re missing out, and a little cinnamon in the chocolate coffee would be a good addition, too. Warm, frothy milk is another one of my must-have ingredients for the perfect cup of coffee. You won’t even need espresso to add this to your mug. All you need is a good milk frother (preferably one that also heats the milk so your java doesn’t get cold too quickly from cold milk! ), and your coffee or espresso. 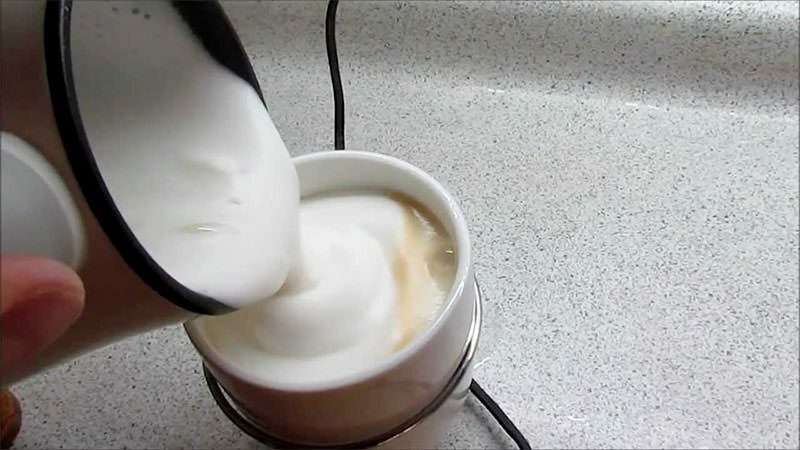 Boom, perfect milky coffee drink at home. Then there is the one more suggestion I have for the best cup of coffee. I am a big fan of pumpkin spice. It would have to be runner up for me. I love a good pumpkin spice coffee with pumpkin spice creamer. I’ve never added anything else to one of these, but I’m sure we could all use our imagination and come up with something good, perhaps a graham cracker or some pumpkin spice bread or muffins on the side. Previous Post: « Shake It Up In Style: Which Cocktail Shaker Should You Buy?